You know what, you can be a pro in the water jet ski if you only intend to be, All you need is a willpower. Wanted to experience the thrill in Dubai? Then why dont try Jet Ski ? Our expert will brief you with basic control and you can explore and experience the real fun in a jet ski like a pro. 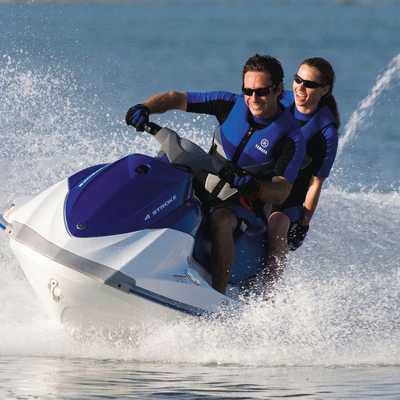 Jet Ski with the capacity of 150cc, 250cc 500cc, 750cc, 1000cc you can choose. The Location will be at Al Mamzar Beach. 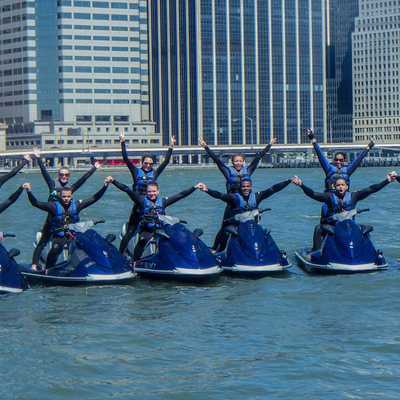 Our professional guide will be giving you a short brief on safety and Jet Skiing. Ample parking and easy to reach through taxi. Booking must be done through the website. Cancellation charges are applicable. Activity is subject to weather condition. Booking is accepted through our website booking form. Casual Comfortable clothing is recommended. A towel and beachwear would be very helpful if carried on the tour.